Tuesday’s special election for Iowa’s Senate District 30 has become a proving ground for Democratic 2020 Oval Office hopefuls. Nine Democratic presidential candidates have appeared locally or publicly endorsed the campaign of Democratic candidate Eric Giddens, a Cedar Falls School Board member, in his race against former Republican state Rep. Walt Rogers. “The whole thing is bizarre,” Giddens said in an interview with the Des Moines Register, referring to the attention generated by the special election. The district turned out 33,322 votes in 2016 and includes the towns of Waterloo, Cedar Falls and Hudson, according to Ballotpedia. 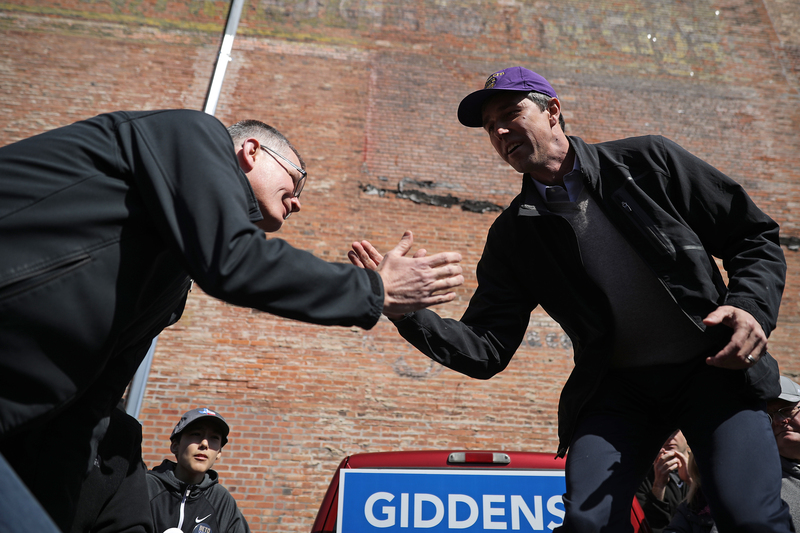 Presidential contenders campaigning for Giddens include Minnesota Sen. Amy Klobuchar, former Texas Rep. Beto O’Rourke, New Jersey Sen. Cory Booker, Massachusetts Sen. Elizabeth Warren, former Maryland Rep. John Delaney, and Montana Gov. Steve Bullock, who has not announced his candidacy. New York Sen. Kirsten Gillibrand sent her staff to Iowa to help get out the vote, and Vermont Sen. Bernie Sanders sent a get-out-the-vote email, according to Politico. “Only in Iowa would a state Senate race attract all these national candidates,” Al Hays, a retired political science professor at the University of Northern Iowa, told the Register. The seat was vacated by the abrupt resignation in February of Democrat Jeff Danielson, a four-term incumbent, and 20-year veteran of the Cedar Falls Fire Department, amid his objections to a city policy that replaced select firefighters with cross-trained police officers. He subsequently accepted a position with the American Wind Energy Association (AWEA) as a lobbyist, the Register reported. Giddens’s opponent Rogers formerly represented the state’s 60th District. The past two elections have shown the district to be competitive. Danielson beat his opponent by 17 points in 2016, but the race in 2012 had only a 2-point margin.